sections – todo’s list is sorted out into sections. Sections reflect event logic and help us to separate particular events. User can move todos among sections using drag&drop. Entire sections can be reorganized on the screen the same way . single line with a todo displays some significant information: subject, manager name, due date. By using a single click we can display and edit the todo in modal window. 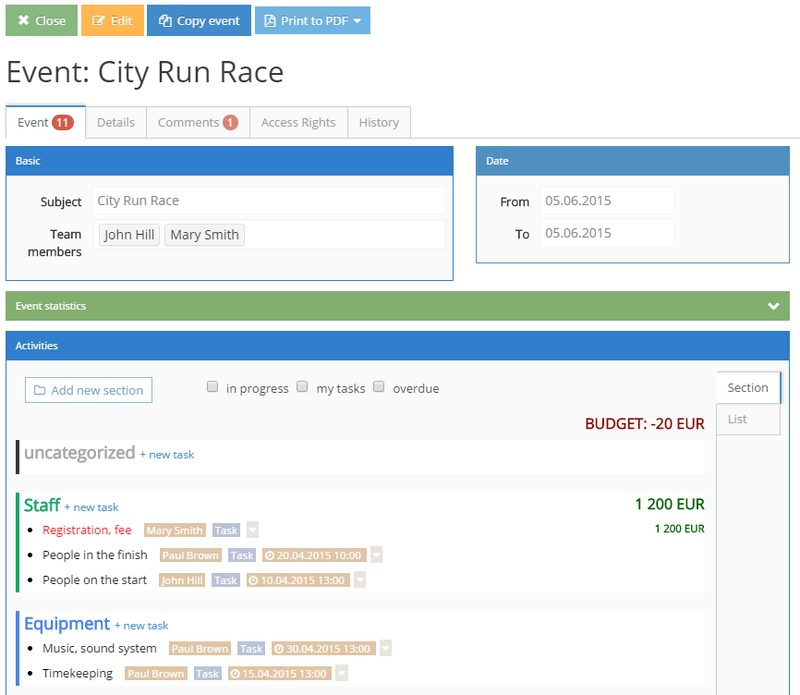 each todo item optionally contains budget information. Subtotals and total value is displayed in todo list. to take event with you or to send event details to some other people we can print event data to PDF format. We can then print it or send by email.